Well you might heard it a lil too much, but I’m a big fan of scarf. Period. 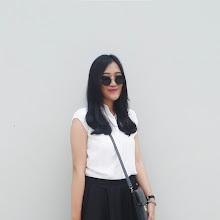 It is the easiest way to create an effortlessly cute outfit. For you who might be wondering how to pull off a pretty looks with only 1 scarf, here’s an ultimate guide on how to wear your scarf! This is my favorite type of scarf, ever! 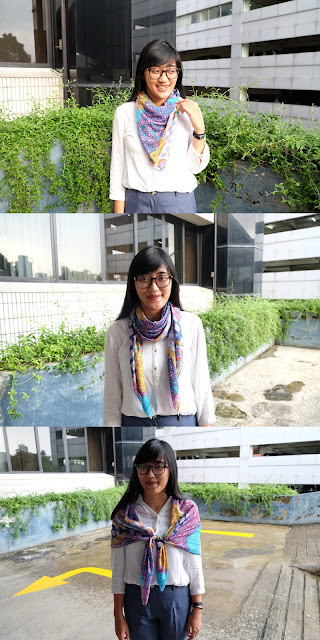 A neckerchief is basically an ease to sparks up your look without being too much. Just simply tie your neckerchief around your neck for a classic preppy look. 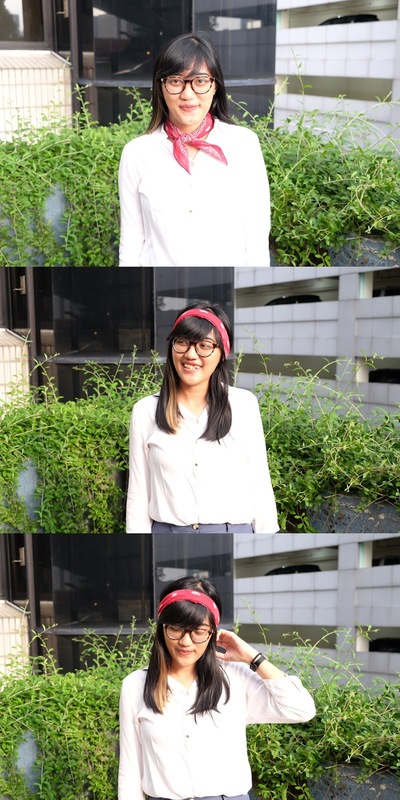 Or you can even wear it as a bandana, also a headband for a boho-chic look. I am totally agree to say that this type of scarf is a must have! Instead of letting it hangs around your neckline, why don’t you tied it in a top-knot style, or simply tangled both ends, or of course, make a pretty bow for an even more feminine look! Big scarf is perfect for a statement style. When it gets chill out there, wrap it around your shoulder and tie the scarf in the front. For a British style, wear the scarf around your neck from the front to the back and tie the ends in the back, or you can also let it hang loosely for an effortless look. 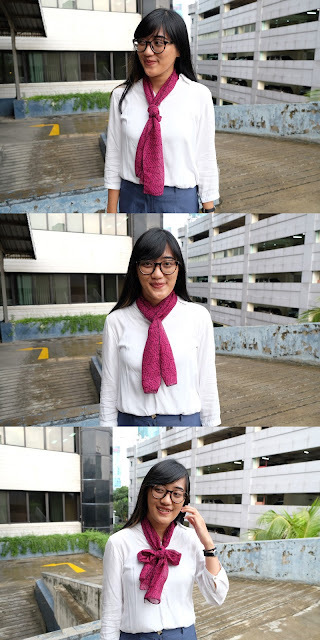 So there you go, my top tricks on how to wear your scarf, perhaps you should give it a try! And by the way, feel free to share with me how you wear your scarf. See you in my next post, loves!